María Montessori described the child’s development as “the progressive acquisition of new forms of independence”. Every aspect of the child’s natural development, since it was known, is in itself, the livelihoods that are going to be guided by the inner potentialities of the infant, which are helped by the environment, which is sometimes this process, instead of encouragement and help. These processes towards the independence of the child are linked to their physiological maturation (functions of neurological maturation that are already determined by genetic or congenital issues). The environment can modify or obstruct these internal processes, but they can not create them. Therefore, the function of the adult is to help the child to develop in an environment where their development is not hindered, in addition to encouraging their independence process, that is, leaving the child aside. You can not carry out a corporal. The child can only develop in the middle of work, that is, experiences with the environment, acquire new skills and abilities, which can only emerge when the environment, the adult included, the one given to the child, the freedom of action and movement , in such a way that the minor increases his independence, which is not static, but is a continuous and permanent achievement in life. A very important factor in the achievement of the independence of the child is that the capacity of the election is developed in the prepared environment, it is very important in the conquest of independence because it carries the message of the person, their opinion and their needs are important , in the place of leaving a state of adult dependence, when making decisions for him, in which there is no help at all, but is confirmed and kept in a state of submission. Free choice leads the child towards the conquest of his independence. 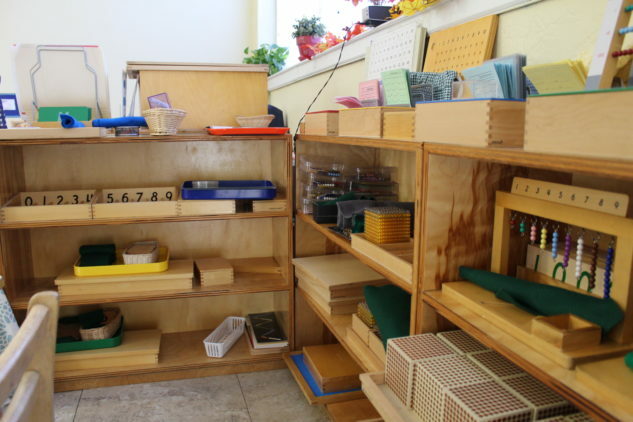 In a Montessori environment, one of the functions of the guide (which should be the same as the parents in the house) is to accompany the child in this process of independent volunteering, to demonstrate a prepared and structured environment that responds to their needs. development, in other words: “Help me to do it by myself”.